IWTYAL 194: How do you remember the gender of nouns? You will inevitably make some mistakes, but you will be forgiven! French Your Way – a helpful website about learning French! Good morning, everybody. Welcome back to the I Will Teach You A Language podcast. Thank you very much for joining me. This is where we talk all about languages and language learning. If you're learning a language and you'd like some tips an ideas for how to become a better studier, then you're in the right place. I've received a number of emails from you guys about the new intro that Jorge was kind enough to put together. I think someone emailed the other day actually just to say that they liked the last intro, but this one is a bit more uplifting, and it also keeps you guessing what language everybody's using in those clips there. So, I'm glad you like that. I would like to thank the sponsors of the show before we get into today's question. They are the wonderful iTalki. 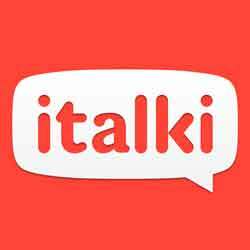 I have two language lessons a week with iTalki, at the moment. I have done more, I have done less, but at the moment I have two lessons, and I've noticed a huge difference recently in my Cantonese, so I go back to speaking regularly with a focused teacher that helps keep me on track and gives me something to work for. So, if you would like to find a teacher in the language you're learning, then you can get a free lesson by going to IWillTeachYouALanguage.com/freelesson. I highly recommend it. Now, without any further ado, we've got a perennial question today from Ali. Hello, Mr. Richards. I am Ali from Saudi Arabia, and I have been learning French for a year and a half now. What I want to ask you is this, how to make a clear distinction between masculine and feminine words in French? Thank you, and keep up the good work. Stepping back, at first it seems like an impossible task. French has got two genders, German's got three, so it's harder in German. At first, it seems like a really difficult task. The important thing is to keep going. You have to really always try to learn a word with the gender, but also just keep it up, because what happens eventually, when I speak languages now that have genders with their nouns, I just know instinctively what's what and which is which. You learn this instinctive knowledge, I guess. It's like native speakers, they don't learn – well, I guess they might do when they're young, but in general, they instinctively know that une table, la table is feminine. It's just the way it is. As you go, you will make some mistakes. I still make mistakes with certain words and their genders in certain languages, but the thing is it never really matters. As long as you've got the basic ones right, that's the important thing. It is true that sometimes you hear people who are speaking a language like French and they make a lot of mistakes with basic words and their genders, so you might hear someone saying, [French 00:03:52] and that doesn't sound good. It's not the end of the world, you can still communicate, but I think you do need to make sure that you really get the basic, everyday vocabulary right. I'm sure you've got that by now, Allie, you've been learning for a year and a half. I'm sure you're good with your basic vocabulary. With the more difficult vocabulary, you will be forgiven. It's not the end of the world if you make a mistake. Having said that, it is important that you do try to remember the genders with the nouns. Something that I do is I use a lot of mnemonics, little images and verbal tricks and things like that, when I'm remembering a word. What I try to do in some way is to try to kind of bake in the gender to the image. For example, if I was learning beginner's French and I was learning la table, the table, I would try to imagine a feminine looking table rather than a masculine looking table. I don't know what a feminine looking table is, but you can imagine a girl's dressing table, or something like that as opposed to a kind of work station in a garage. Big gender stereotypes there, but the point is whatever masculine or feminine means to you as it relates to that object. Try and bake that into the image somehow. I do that, and it helps me to actually remember later what the gender of the noun is. We've said how you just have to remember the genders of nouns, and we've said how you have to keep going and eventually you will get this instinctive understanding. We said how you'll make mistakes and it's okay, and we've also said how you can use imagery of some kind to make that object seem a bit more masculine, or a bit more feminine. Having said all that, in practice, in most languages you can actually guess the gender of many words using, not rules, but generalisations. I'll give you some examples here of kind of rules of thumb that you can use in French. For example, nouns that end in “sme” tend to be masculine. Capitalisme is masculine for example. So, most nouns that end in “sme” are masculine. Similarly, words that end in “et” like [French 00:06:39] are masculine. On the other hand, there are certain words that tend to be feminine, “tie” for example. [French 00:06:51] are feminine. Words that end in “ee” like [French 00:06:57] tend to be feminine. Once you start to notice those patterns, that allows you to have an educated guess. It can be really helpful to look at those patterns and think to yourself all these words that end in these certain combinations of letters tend to be masculine or feminine. It's not always the case, but if you can learn to recognise those patterns, then that will help you a lot. What's also quite funny, it gets harder when you learn multiple languages, because certain words are actually different between different languages. For example, if you take the word planet, in French, planet is feminine, [French 00:07:43], but in Spanish, it's masculine, el planeta, which is interesting. When you learn multiple languages, it kind of gives you this extra layer of difficulty when you have to remember the genders from one language to the next. Again, these things almost never matter. It's one of those things that when you're talking about less common words, yes, you focus on learning the gender, but really other things are more important. The bigger picture is much more important. I hope that's helpful for you, Allie. Really, the answer is lots of hard work, and don't look for shortcuts. That's really the way to go with that. Some things in language learning you just have to put your head down and remember it. If you'd like to ask me a question like Allie did, you can go to IWillTeachYouALanguage.com/ask. At the end of every episode, I like to leave you with a resource of some kind on the topic of the show. I came across a great website, which I used to give you the examples in French that I just gave you. My French is a bit rusty, so I can't really remember all these rules. I found this cool site called French Your Way, and one blog post in particular that's called, Masculine or Feminine? Telling the Gender of French Nouns. That's one for you definitely to check out. I'll put a link to that in the show notes along with all of the notes from today, and of course the transcript so you can read along to everything I've said, in case I said some weird stuff that you didn't understand and you'd like to practice your English at the same time. You can find that at IWillTeachYouALangauge.com/episode194. If you've got any tricks for remembering the gender of nouns in French or any other language, come along and leave us a comment over there as well. That's it for today, see you next time. Thank you so much for listening to today's episode, I really hope you enjoyed it. You know, one of the questions I get asked most often about language learning is how to improve your memory. Things get so much easier when you learn new words and you don't forget them later in conversation when you really need them. What I decided to do is put together a short email course. It's a three part email course, over three days, that teaches you my favourite techniques for memorising vocabulary and actually putting that vocabulary into your long term memory. It's a short course, three days, it's completely free. If you'd like to sign up for it, please go to IWillTeachYouALanguage.com/freememorycourse.